EFF leader Julius Malema claims that Minister of Public Enterprises Pravin Gordhan holds an unlawful bank account in Canada which has a balance of more than R665m. The EFF leader says the funds are the proceeds of favours. This information is held in a charge sheet crafted by the EFF that details five charges against Gordhan and a further two charges against his daughter, Anisha Gordhan. Malema, accompanied by EFF deputy president Floyd Shivambu and EFF secretary general Godrich Gardee, opened these cases against Gordhan and his daughter at the Brooklyn police station in Pretoria East on Tuesday. According to the EFF document, in which Gordhan is labelled as accused one, the cases relate to the South African Revenue Service (SARS) rogue unit, state capture, perjury and the Canadian bank account. Contravention of the Intelligence Act – this allegation refers to the formation of the SARS rogue unit between 1999 and 2014. Contravention of the Prevention and Combating of Corrupt Activities Act – this allegation refers to state capture and Gordhan's alleged failure to report corrupt activities. Racketeering and/or money laundering – this refers to the bank account held in Canada. According to the document, the account is held at the Royal Bank of Canada, the account holder is Gordhan and the account balance is $48 756 292 or R675 717 205. "He ordered various taxpayers to deposit large amounts of money into the said account in exchange for favours, which were to the detriment of the fiscus and the South African public," the document read. Fraud – the EFF alleges that Gordhan unlawfully and intentionally committed fraud in relation to charge 3. 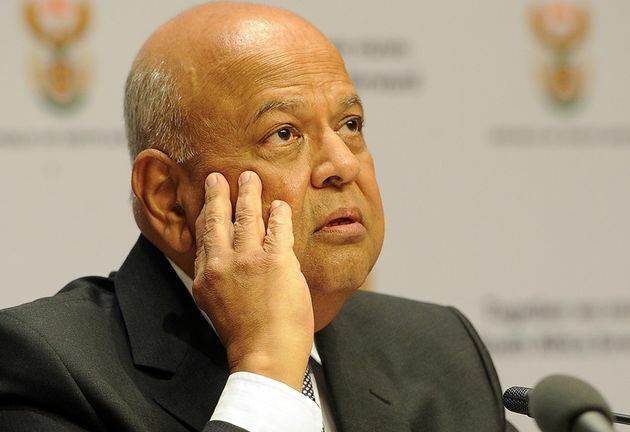 Perjury – the document alleges that Gordhan lied under oath in respect to meetings with the Guptas, his financial dealings in Canada and the unlawful activities of his daughter. In relation to Gordhan's daughter, Malema laid two charges, one of fraud and another of corruption, both relating to her work with Investec. In the document, Malema claims the evidence will be supplied to the investigating officers. The evidence includes the Sikhakhane panel report, banking details, confidential statements of key witnesses, Gordhan's affidavit meant for the Zondo commission and the transcript of Gordhan's testimony at the commission. The EFF document lists Malema as the complainant. Speaking to a crowd of EFF supporters outside of the police station, Malema said that all evidence was supplied to the police and that if the police guarantee indemnity, he would make available a list of people who would testify that they deposited money into the Canadian bank account in exchange for favours from Gordhan. "We gave the evidence to the police about the crimes committed by Pravin since 1999 until 2014," Malema said. He added that the account was created while Gordhan was at SARS. Malema also questioned why Gordhan opened criminal cases again Malema and Shivambu on Monday relating to criminal defamation and crimen injuria. "Pravin came to open a case here, why is he opening a case of civil claims, because civil claims you don't open a case, you just write a letter from the lawyers and say to Malema, 'withdraw what you said and apologies otherwise I am suing you 150 (sic)'," the EFF leader told the crowd. "Now he comes here to disturb the police who are doing a wonderful job here, by bringing useless charges which means nothing."